People increasingly are aware that the climate is changing and want to take action to stop global warming. We absolutely believe that the majority of people want to be part of the solution. Therefore, One Home exists to meet that need and provide positive solutions. Climate change is a huge, significant challenge but the solutions to this problem exist. If we all wait to be perfect before we start this journey then nothing will ever change. We must urgently speed up the transition to a clean, sustainable future. Because we cannot afford to just gradually win the argument on global warming - that would be the same as losing the argument altogether. Small changes really do make a big difference. We only have One Home. It is really important to share what you are doing to fix global warming. Whether you are a social media influencer, run a small company or hold the purse strings at home or work. Please share your climate actions with family, friends or colleagues, telling people is a key component to success both in terms of succeeding with your pledges and mainstreaming these new and awesome technologies. It’s a Wonderful World. Act today to protect the things we cherish. "If I could convince everyone of just one thing, it would be the necessity of connecting this daunting global problem to how it impacts us locally, in the places where we live, and what we can do—and are already doing—to fix it." One Home is run by a team of dedicated energy, environmental and communication experts who are passionate about speeding up the transition to a low-carbon economy. One Home was founded by Angela Terry, an environmental scientist with 20 years’ experience working in the renewables industry. Angela was one of the first pioneers of community renewable energy and strongly believes in the power of good. 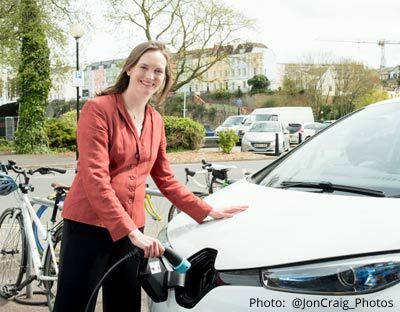 She was the development director of Energy4All, has worked as head of wood fuel for the Forestry Commission, as well as working with RES, BRE, Mongoose Energy, Practical Action and Forest Research in New Zealand. Angela holds degrees from Imperial College and Leeds University and is a member of the Energy Institute. One Home is a project of the Climate Alliance Community Interest Company, which was formed in 2017. The Climate Alliance is a not-for-profit, social enterprise dedicated to providing practical solutions to climate change. As such all of the income received is reinvested for the benefit of the community, particularly in to the One Home campaign in the UK. One Home is not a lobbying group but believes completely in the power of society coming together to achieve great change. One Home is kindly supported by companies who want to reduce pollution and help protect our planet. These companies are listed in the Directory and we are very grateful for their support. “One Home offers citizens an opportunity to assess their lifestyle choices and make positive changes for the benefit of both people and the planet. I applaud this initiative – it will inform and empower people, motivating them to support clean energy and reduce fossil fuel consumption. “The 2015 United Nations Climate Change Conference in Paris set an objective to ensure the planet does not exceed a two-degree Celsius temperature rise above the pre-industrial level and make every effort not to exceed a 1.5 degree Celsius temperature rise.